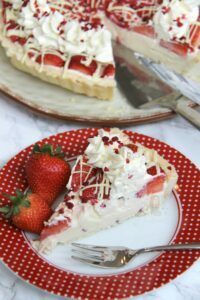 Sweet Shortcrust Pastry, Creamy White Chocolate Filling, Fresh & Freeze Dried Strawberries, Sweetened Cream, and even more Chocolate! 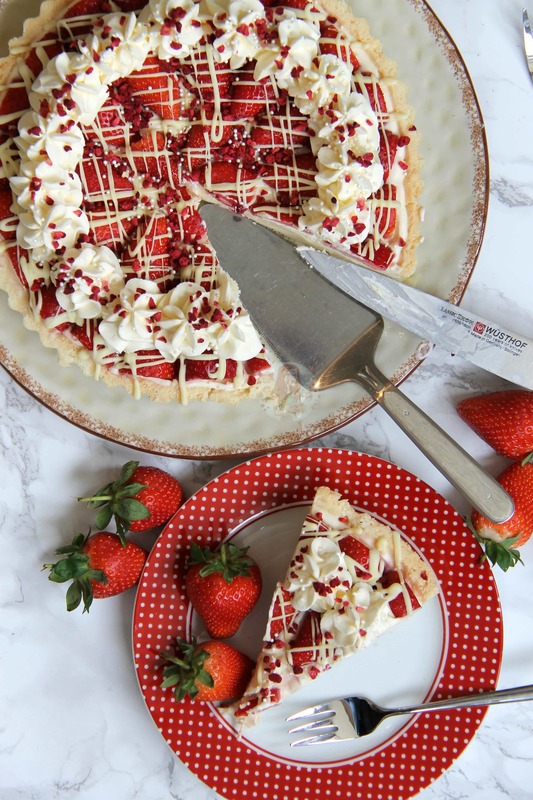 The most Delicious White Chocolate & Strawberry Tart! 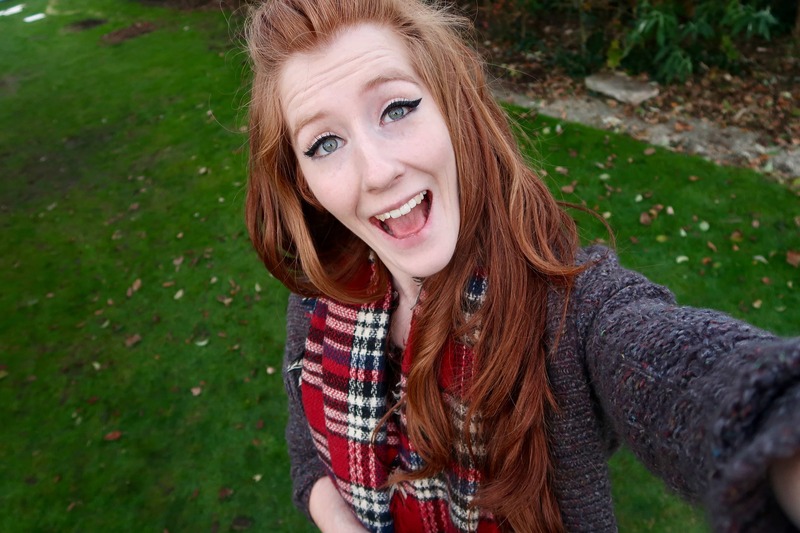 I am always going after a delicious sweet dessert, that isn’t what you can buy in a shop. 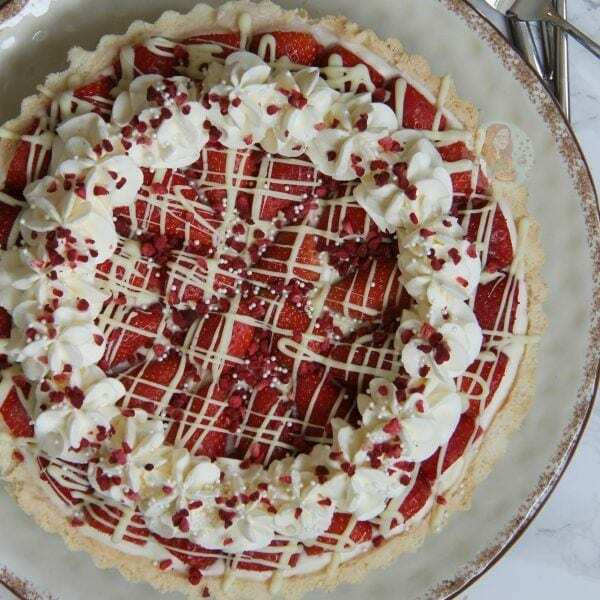 I obviously adore cheesecake, but I do love a tart as well. 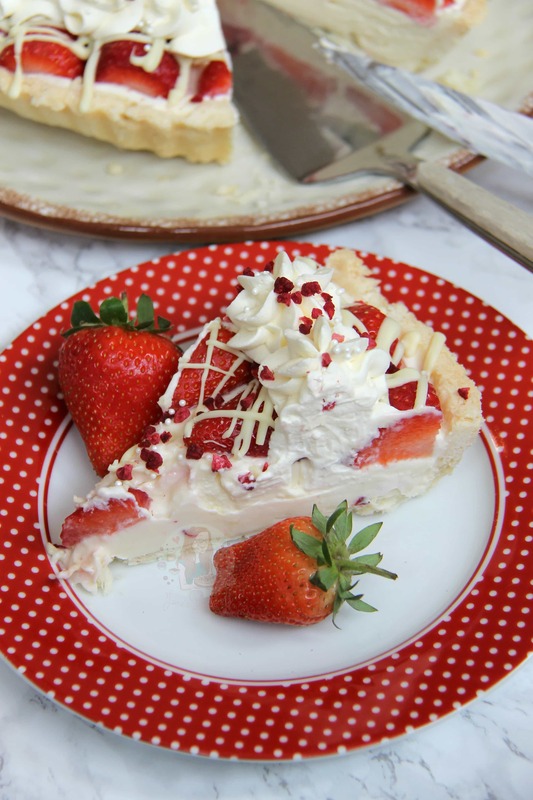 Sweet shortcrust pastry mixes so well with a light, creamy and sweet filling. 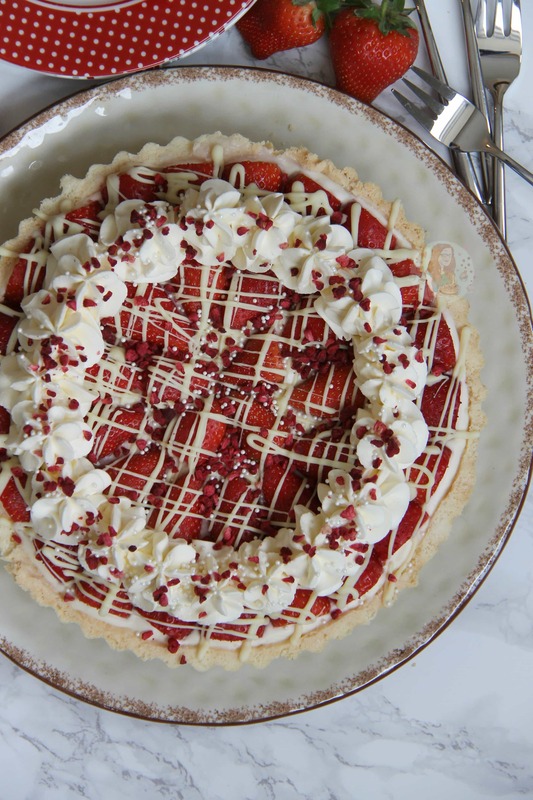 I currently work part time at a Waitrose, and was looking on their recipe section of their website and came across this delicious tart. I knew I had to make it because hot damn it sounded DELICIOUS! 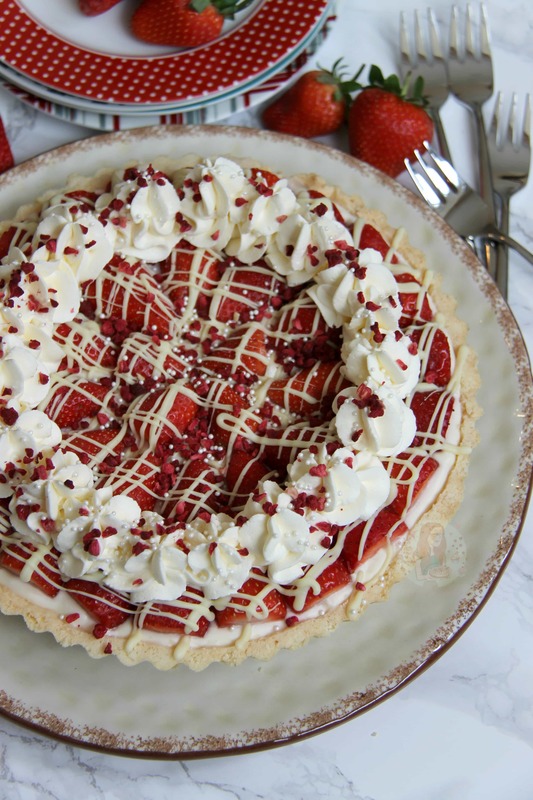 This is something you can easily make with raspberries if you preferred, but I was in a strawberry mood. I will admit that the filling is incredibly cheesecake like, but I used Mascarpone like the recipe suggested and it just stayed creamy and delightful. I used slightly more White Chocolate as I wanted a stronger taste, and added a dash of vanilla because I love the flavours together. One of the first recipes on my blog was my No-Bake White Chocolate & Strawberry Cheesecake, and this is a delicious tart version of that. 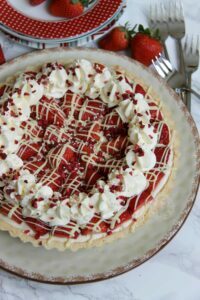 I decided to decorate my tart slightly different, as I wanted a bit of a showstopper for a dinner party I was hosting. My friends are fully aware that by now, when they come to my house, a dessert usually has a slice missing as I have taken the necessary photos! I went for drizzling over some extra White Chocolate as I adore a good chocolate drizzle. I also decided some freeze dried strawberries, which I bought from Waitrose, would give it an extra element! The sweetened cream is because I love it, but of course its completely optional! All of the decoration is really! 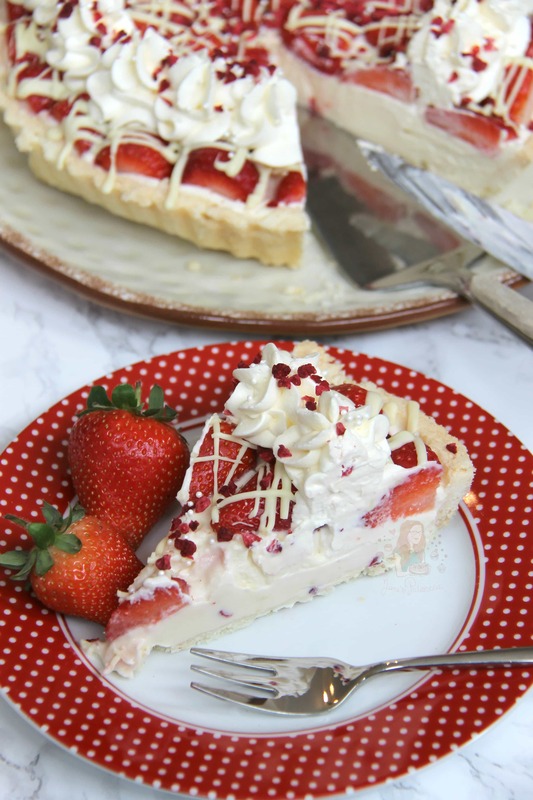 White Chocolate & Strawberry Tart! 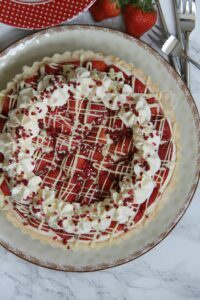 Sweet Shortcrust Pastry, Creamy White Chocolate Filling, Fresh & Freeze Dried Strawberries, Sweetened Cream, and even more Chocolate! Sift the flour, icing sugar, and add the diced butter, egg yolk, and 1tbsp of cold water into a food processor. Blitz quickly on the pulse setting until the mixture starts to bind, it shouldn’t take too long at all! Grease & flour a 23cm Tart/Pie/Flan tin – Roll the pastry mix out onto a lightly floured surface to the thickness of 1-2 £1 coin(s). Press the pastry into the tin and trim & neaten the edges. Fill any gaps of the pastry with any excess pastry so its all covered! Refrigerate for 1/2 an hour! Preheat the oven to 200C/180C Fan – Cover the pastry with baking parchment and fill with baking beans/rice and bake the pastry ‘Blind’ for 15 minutes. Remove the parchment and the beans and bake for an extra 5 minutes or until the pastry is cooked through and turning golden! Leave to cool in the tin. OR - Use a premade packet of sweet shortcrust pastry. Line the tin in the same way as above, and bake for the same amount of time. In a large bowl, add 125g of the Mascarpone, and the white chocolate. Melt gently over a pan of boiling water (bain marie) or in the microwave on a low heat. Once melted, let it cool for a minute. Add in the rest of the mascarpone and vanilla, and beat till smooth. Pour in the double cream and beat again till smooth. Pour this on top of the Pastry and spread evenly. Add some halved strawberries to the top and basically cover the top. Leave the tart to set in the fridge for 5-6 hours, or overnight. Once set, decorate. Melt the extra White Chocolate and drizzle over the top. 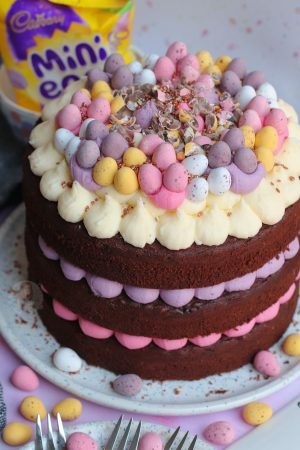 Whip together the double cream and icing sugar till thick and pipeable and pipe a decoration using a 2D Closed Star Piping Tip and then sprinkle with freeze dried strawberries, and some sprinkles if you fancy it. Remove from the tin carefully (before or after decoration, your choice) and then enjoy! 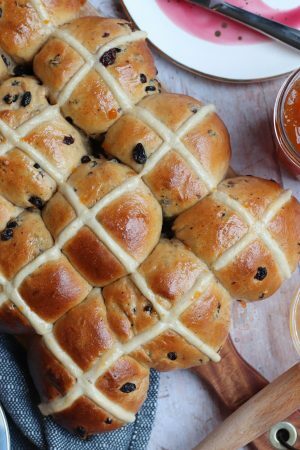 This post is inspired by the recipe from Waitrose! 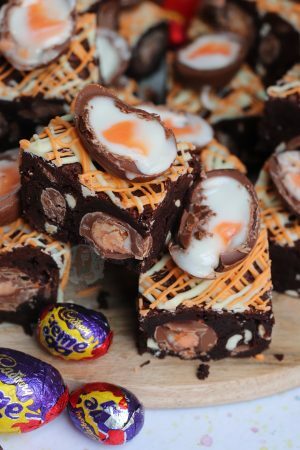 This delicious treat will last in the fridge for 2-3 days! You can use a no-bake biscuit base instead of the pastry if you wanted. Simple use 300g of Digestives, blitzed in a food processor to a fine crumb. Add in 150g melted butter, and blitz again. Press into the bottom of the same size tin! 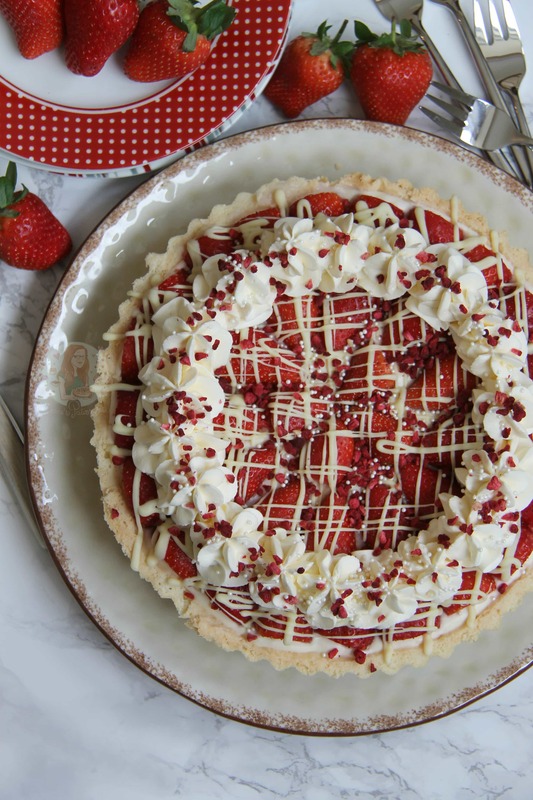 You can easily swap the Strawberries to Raspberries if you prefer! Older Next post: Cheesecake Cookie Bars! Newer Previous post: Mint Aero Cake! Hi.. i need to make the quickest tart for a dinner party and even thought id never usually do this, is it possible to buy a pre made sweet tart case and use the recipe for filling and decoration? This would save so much time on that day. You could, but they are very thin in depth, so you might not get all the filling in. 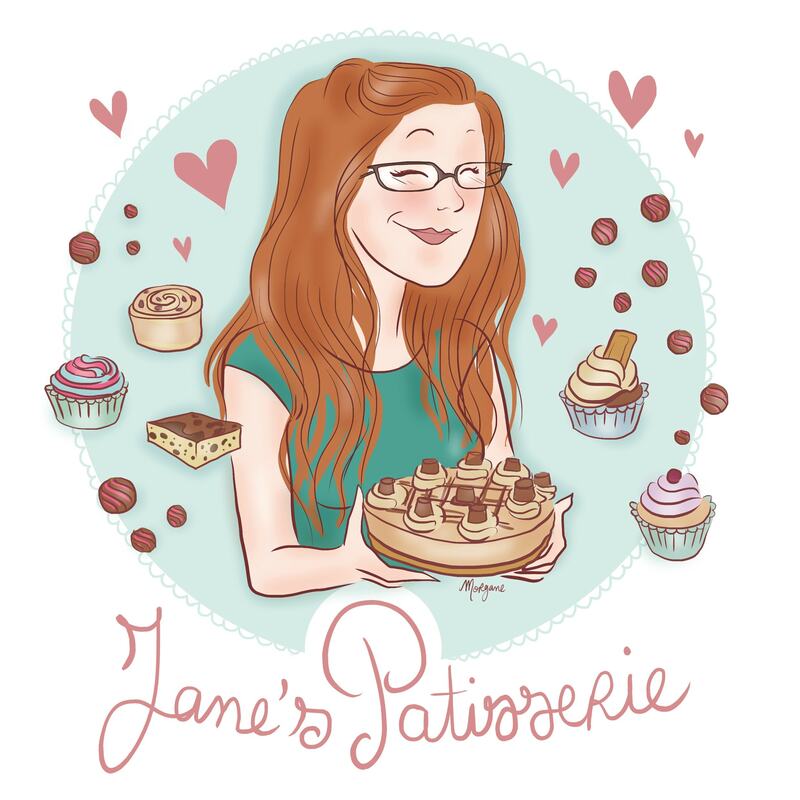 You can buy premade pastry and use that and bake that into a tin so its still the right depth? Oh my. This is delicious. Did not have strawberries. Used cherries and homemade cherry jam on top. And a biscuit base.